I traveled to Panama this summer for the 100th Anniversary of the Panama Canal. 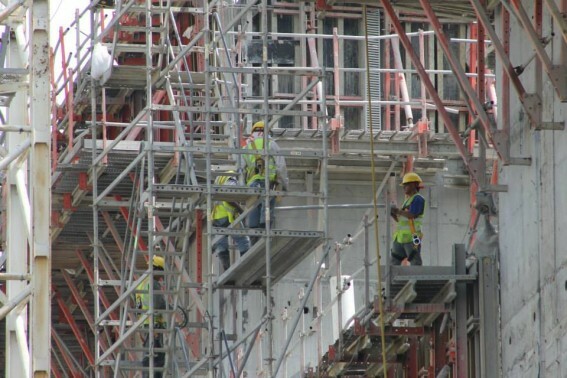 An expansion project is under way to a build new, even bigger canal, in hopes of boosting business for the small Central American country. 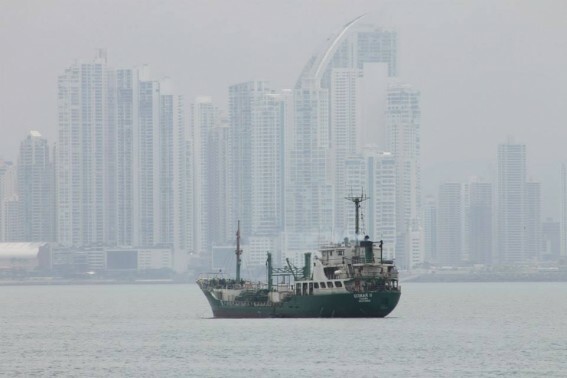 Panama spent about $5.3 billion on the project, which is about 15 percent of the country’s annual gross domestic product—the total amount of money brought into the country every year. 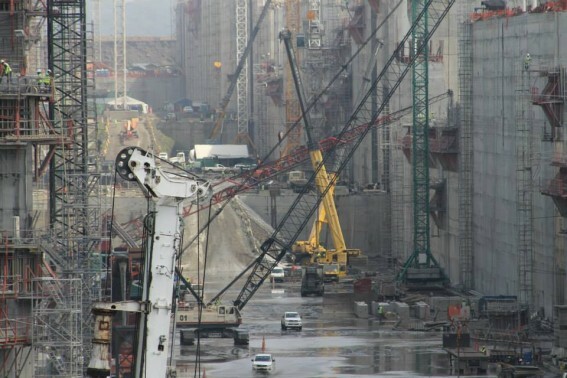 But as mentioned in my series, the Canal Authority believes this major long-term investment will bring in big money to Panama. A ship waits on the Pacific side of the Panama Canal to pass through. The canal was widely considered an engineering marvel at the turn of the 20th century. It celebrated its 100th anniversary this August. A project of this scale requires a lot of hands-on-deck. 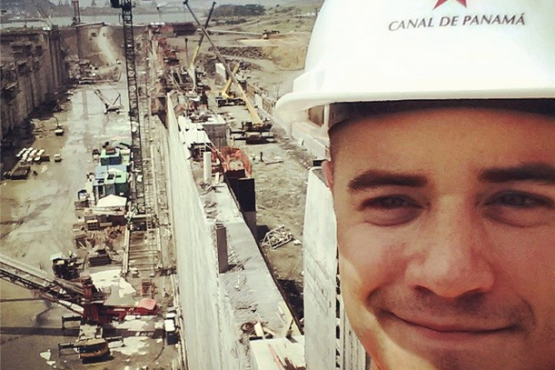 More than 20,000 workers are building this massive canal. These are hydraulic arms that are used to open and close the locks of the old canal when ships pass through. The Canal Expansion site. 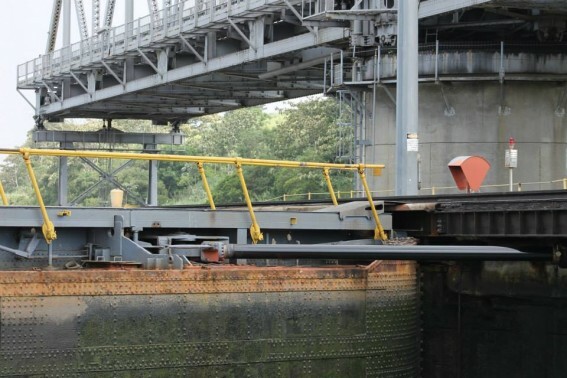 Each lock— a set of massive gates that control the flow of water— weighs 4 million pounds. 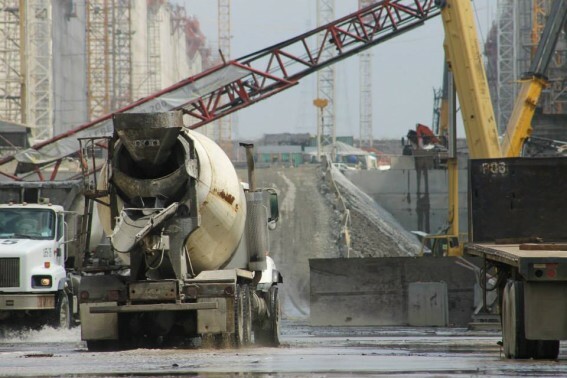 A cement truck rolls through the Canal Expansion site, which is set to open for business in 2016. 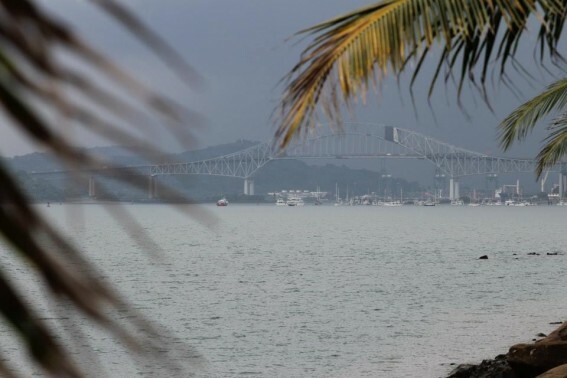 The Bridge of the Americas links the East and West sides of Panama. More importantly, it has served as a primary connector to those traveling to and from Central and South America for decades. 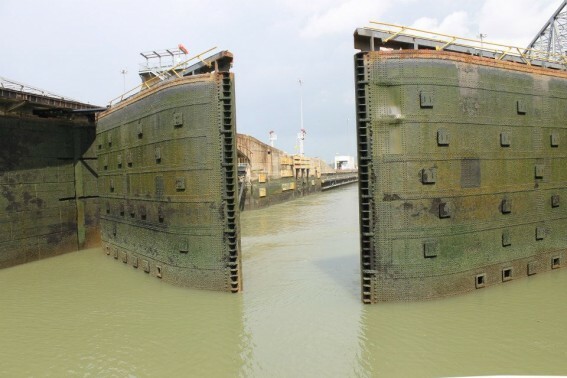 The Miraflores locks allow water to rise and fall as ships pass through the canal. In all, ships travel 85 vertical feet up and down these chambers to get from the Atlantic to the Pacific and back. 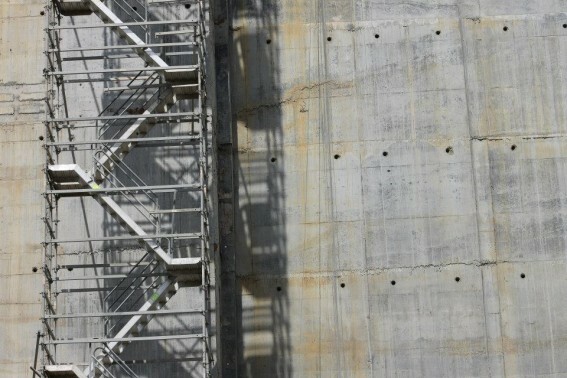 A scaffolding leading to the top of the walls at the Canal Expansion site. Each 110-foot wall is expected to last at least 100 years. These massive cargo ships have just inches to spare when passing through the canal. 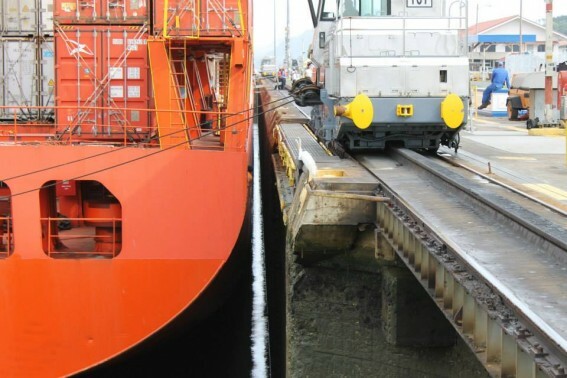 In order to guarantee that they transit through without crashing into the canal walls, they're guided by trains. 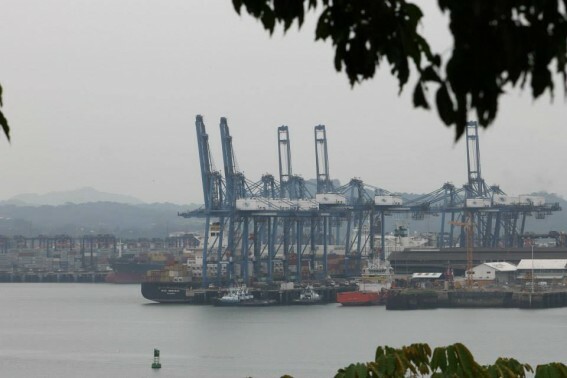 One of the many ports along the Panama Canal. I can’t access today’s news. Help!!!!!! !